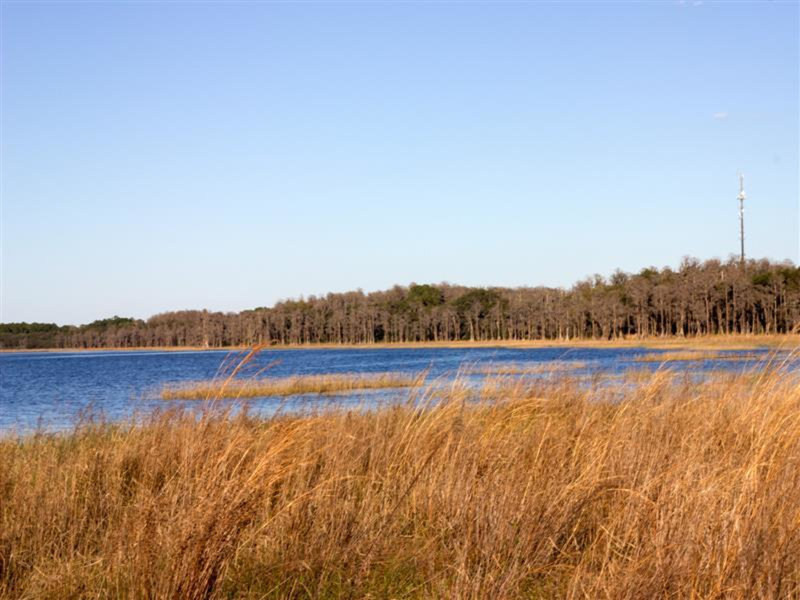 Lake Louisa State Park is located in Clermont Florida. With 3 easily accessible lakes it is a great place to go canoeing, kayaking, or Stand Up Paddleboarding. Looking for some wide open lakes to enjoy on your canoe, kayak or paddleboard? If you live in or around Orlando and don’t mind making a short drive west, than Lake Louisa State Park is a great place to check out. 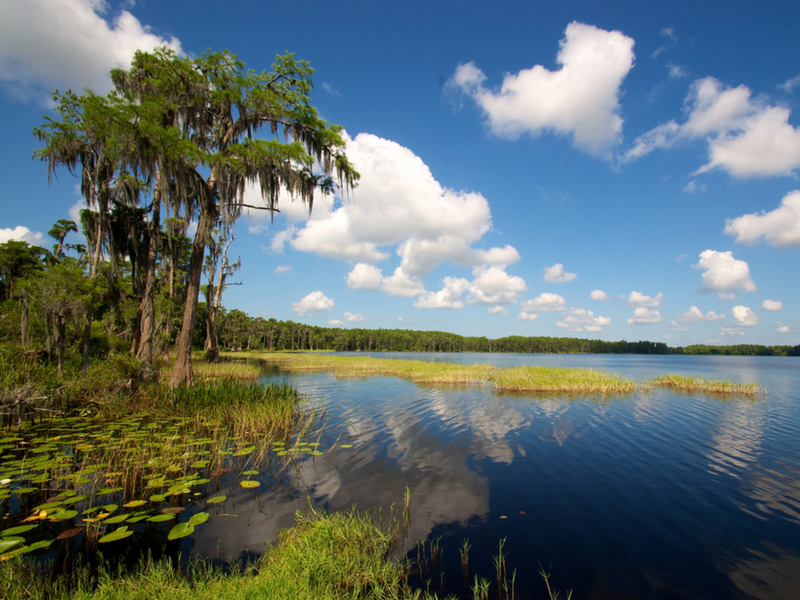 With 13 lakes, 3 of which are easily accessible, Lake Louisa State Park in Clermont, Florida is the perfect place to get out onto the water. The main attraction in Lake Louisa State Park is of course the lake itself. 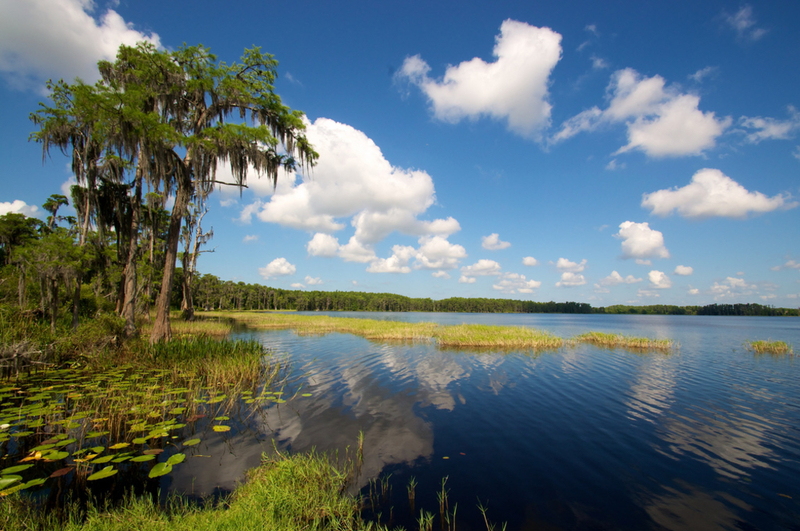 Lake Louisa has been designated an "Outstanding Florida Waterway," which means it's kept in more pristine conditions than some other bodies of water in the area. Make sure you keep your eyes out for wildlife while you are on and near the water. Deer, turkey, quail, gopher, and tortoises are common in the the park. While Lake Louisa is the largest lake in the park, Dixie Lake and Hammond Lake are also easily accessible. If you have your own boat, you can drive to the parking areas next to each lake and carry it in. Each of the lakes is large enough for you to paddle around and enjoy the scenery. The water is flat and calm with cypress trees and live oaks lining the banks. Gas motors are not permitted on the lakes which helps keep the area quiet. If you need to rent a canoe or kayak you can do so at the Ranger station when you arrive. Three person canoes or single person kayaks can be rented in blocks of time from two, three, or four hours. Also, swimming is permitted in Lake Louisa, but you will need to be careful as there are no lifeguards on duty. Before you head out to the park make sure you check the weather forecasts. The last thing you want to do is end up on one of the lakes in a thunderstorm. If the forecast is clear, make sure to bring plenty of water and sunscreen as the heat can be intense during the summer months. Lake Louisa State Park is a great paddling location for people of all skill levels, but it is especially well suited for beginners. If you are just getting into canoeing, kayaking, or stand up paddleboarding you will appreciate the calm water and easy access. The park is located at 7305 U.S. Highway 27, Clermont, FL 34714. When you first arrive at the park you will need to pay your entrance fee at the ranger station, then you can continue to one of the parking areas depending on which lake you are visiting. While on the main road you will come to a fork. From there you will have the option of turning right for Lake Louisa or left for Dixie Lake and Hammond Lake. Each parking area has access to the lakes as well as restrooms with showers.